I am a very shy person. I also have a small fear of strangers and social situations are sometimes a nightmare for me. I am very good at hiding this flaw and can venture into many social situations and "get over it." I started blogging as a hobby, which lead to many small adventures, and even to some friendships. What I realized most is that it is no good to stay in when there are so many places to go out - even for someone who is afraid of people and new situations. Deciding to do the A to Z Challenge was not just a challenge to see if I could make through the 28 days, I've done NaBloPoMo I know I can do that, but to be creative enough to go by the alphabet. That wan't enough and I decided to do a theme and since I started posting more about my area I figured how hard could it be. It is harder then I thought it would be. This challenge also reinforced that I love my area and there is a lot more to discover. It has also made me leave my house. It has been a difficult year and sometimes I want to just crawl into bed but I have people who count on me and most importantly - kids. 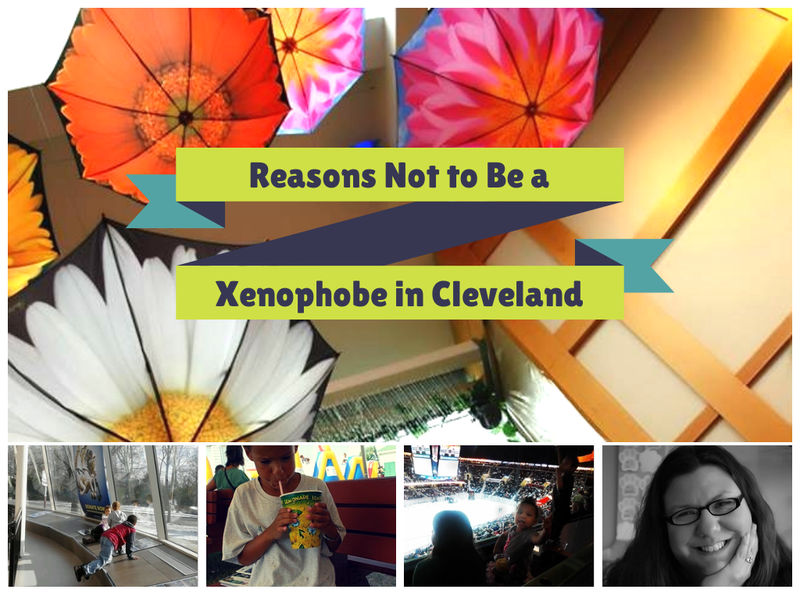 I have found reasons to get out and not just for the kids that I would like to share and might work as a cure for xenophobia. And lastly, host a party with other mom's in the neighborhood. This is happening!